The latest version of the platform aims to help with end-to-end management for high-risk and high-cost patients, said a company exec. "Version 3.0 represents the full end-to-end nature of population health management that we've always been working toward," said Jorge Miranda, executive vice president at Lightbeam Health Solutions. "This release focuses on extending capabilities and ease of use for managing high-risk, high-cost populations." "We developed it based not just on what we're seeing in the market, but also from extensive client feedback and beta testing, especially with our ACO and Medicare Advantage clients," Miranda explained. 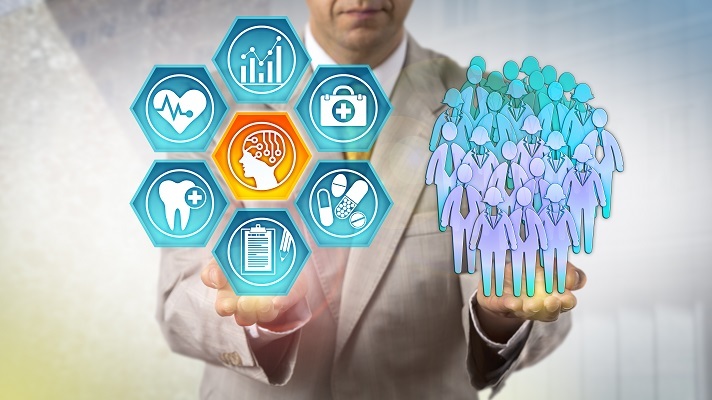 "Because these two types or organizations are on the leading edge of shared- and downside-risk contracting, they have unique insights into what it takes to really engage physicians and the organization as a whole in succeeding under shared- and full-risk models," he said. Notably, Version 3.0 includes new analytical views that leverage predictive analytics and the vendor's proprietary "ability to impact" score to manage larger populations in downside risk, he added. "Providers can't afford to lose track of patients in the shuffle of referrals, and patients should not have to suffer being caught between two providers whose systems aren't interoperable," Miranda said. "Just as important, providers can't be expected to wait on EHR and other vendors to solve the interoperability problem – they need solutions right now to ensure they can extract value from the technology in which they've already invested millions and, in some cases, hundreds of millions of dollars." When it comes to payers and providers collaborating, whether it's through mergers and acquisitions, new partnership models, or entirely new whole-cloth initiatives, Lightbeam said it is seeing insurers push for the wellness of their patients through preventive, proactive care delivery. "As value-based care and downside-risk continue to gain steam, integrated solutions to support these delivery models will only become more important." "As value-based care and downside-risk continue to gain steam, integrated solutions to support these delivery models will only become more important," Miranda said. "Deploying solutions that inform and impact provider behavior at the point of care is key for aligning behaviors across payers and providers. To ensure a sustainable approach, payers and providers must have a common platform that enables them to 'speak the same language' and exchange information seamlessly." "If not correctly defined and developed at the application level, they can become untethered to clinical realities and documented research from medical societies, which of course means providers will be less likely to adopt and champion them," he said. "AI is not a doctor or simply a set of rules. True AI for healthcare is a model based on clinical standards that can leverage data beyond the EHR, empowering providers and organizations to deliver high-quality care." "EHRs provide a good source of truth regarding what happened in the past, but when it comes to predictive analytics and effective management of high-risk and high-cost populations, healthcare organizations need tools designed for prospective rather than retrospective analysis," said Miranda. "EHR and claims data just aren't enough, so tools designed with only those data sources in mind will never be up to the task." "Although that's a heavy lift in and of itself, the truth is that's the new table stakes in healthcare," said Miranda. "So it's critical to quickly move to what is required to manage 'rising risk,' and reducing or eliminating future avoidable spend that erodes good performance in downside risk arrangements," he concluded. Lightbeam Health Solutions will be in Booth 4370 at HIMSS19.